If you are into Burberrys stripes and squares here is design for you. To create the look you will need: Private Viewing by Wet n Wild, Spa02 White and Spa12 Black by Kiss, Spa. Red by Kiss. 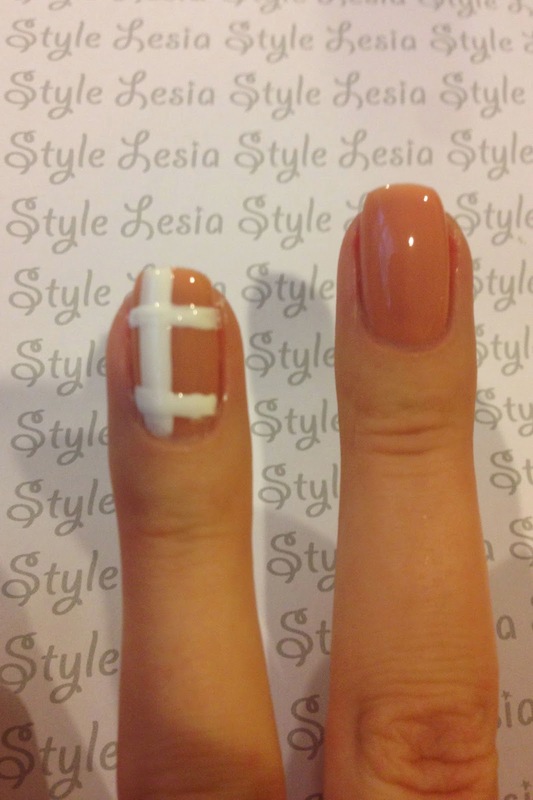 Start with applying base coat, than two coats of beige nail polish. 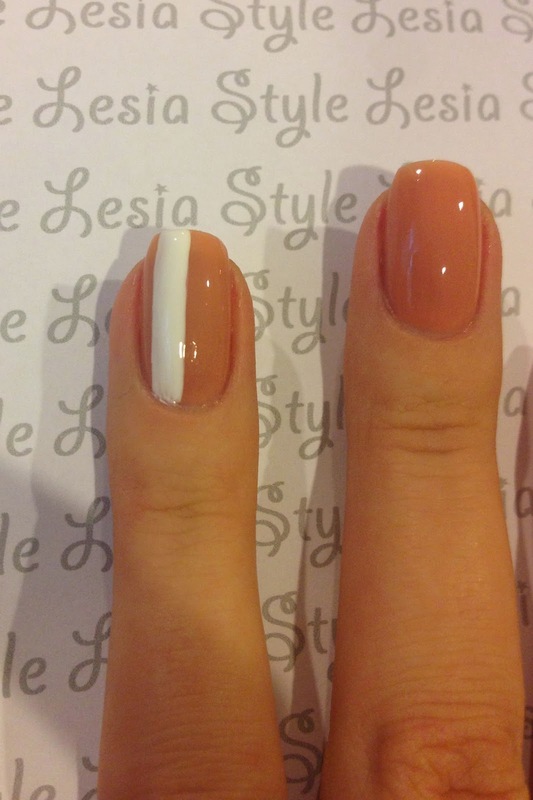 Wait for your nails to dry and paint a stripe with thin nail brush. 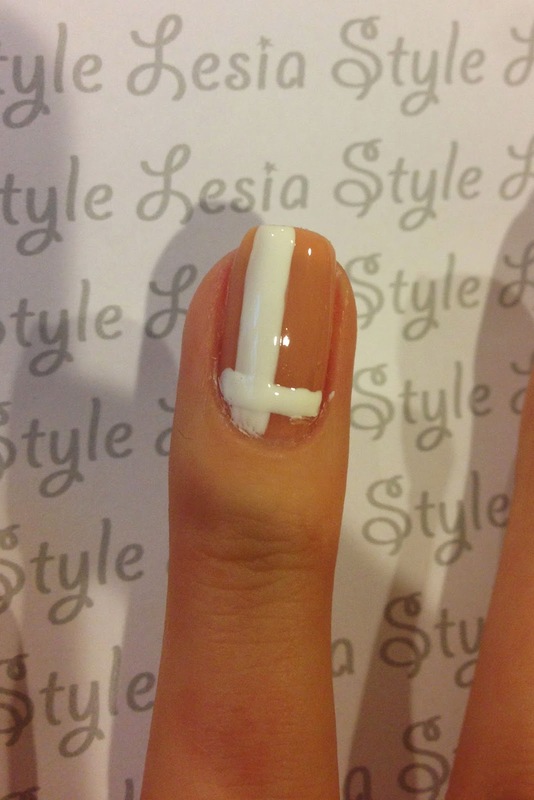 If the stripe is to thin keep applying more nail polish till you have a stripe with desired thickness. 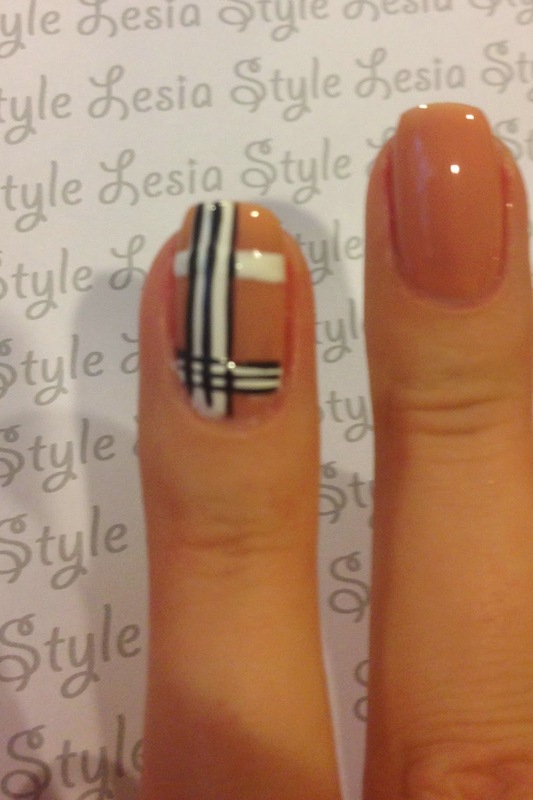 Take black nail polish with a thin brush and outline the white stripe and then put one more in the middle. 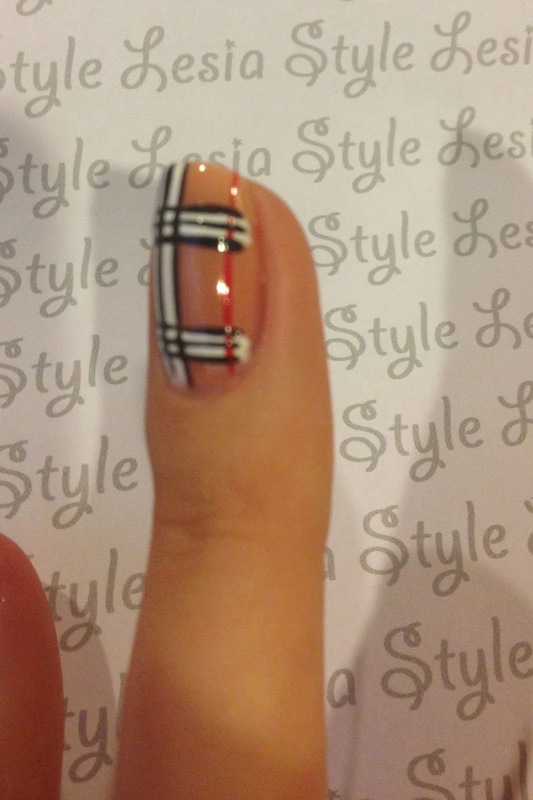 Use red nail polish with a thin brush and paint more stripes: one vertical and two horizontal. I did my design just on my ring fingers, but if you like, you can paint them on them all.